World of Warcraft: Legion comes out on August 30, which means we won’t see a new update in the coming months. But that doesn’t mean there’s nothing to do in WoW. It’s the perfect time to prepare for all the gameplay changes. We collected the achievements and content that will be removed from the game when Legion and its pre-patch (no exact date confirmed for that yet) hits the live servers, and also gathered a bunch of tips to help get ready for the expansion. Just like with every other expansion, parts of the game that will not be compatible with the changed gameplay will be removed forever. Luckily it’s not a huge list, and it’s absolutely possible to do everything before the pre-patch. The challenge mode system is getting a revamp in Legion, but even without a revamp, running level 100 dungeons with timers would be easy to do at level 110, so they’ll all be gone, including the rewards. Be sure to find a group and do the bronze, silver and gold challenges (no big deal with ilvl 700 characters) for a Yeti mount, the Indomitable title, transmog gear and a lot of achievement points. Archimonde in Heroic Hellfire Citadel drops an item called the Remnant of Chaos that starts a short quest-line. Once completed, players get a unique Grove Warden moose mount as a reward. The quest item is a guaranteed drop right now, but will be removed after patch 7.0. The legendary ring will no longer be obtainable in Legion. Obviously the ring will be useless once the level cap is increased, but there are a bunch of achievements linked to the quest-line, and it’s always nice to have one more of those orange items in our bank. Ashran will still be around in Legion and players can queue for it, but since it wasn’t really a fan-favorite battleground and people are already burned out doing the same 5 events on it for months, it probably won’t be popular during the first few months of Legion, even with a renewed PvP system. Therefore, achievements where you have to kill 5,000 players in certain parts of the map, or the Nemesis quest-line (especially the ones with Pandas, Goblins or Worgens) will be much harder to complete. Players can loot the Ironhoof Destroyer by killing Blackhand on Mythic difficulty, and the Felsteel Annihilator by killing Mythic Archimonde. Both mounts are 100% drops right now, but as the level cap increases to 110, it most likely will be reduced to 1%, following the tradition of previous raids and expansions. Some mounts have a 100% drop rate by killing rares (Nakk or Poundfist for example) around Draenor. If Draenor zones will be converted into cross realm zones in Legion, it’ll be much harder to farm these mounts with all the folks searching for them from other servers at the same time. While not confirmed, it’s also possible that the drop rates will be lowered. Blizzard loves to lower drop rates. So why take a chance, go grab these mounts now. It’s a minor thing, but still worth noting. Pet Charms, rewards for Draenor pet battle quests, will be nerfed in Legion and this means getting the toys and pets that go for hundreds of Charms will be a bit harder. A popular pet, the Pandaren Water Spirit, will be nerfed as well in Legion. This pet’s pretty powerful in all situations because of the so called Howl Bomb strategy, which will be gone soon. If you’re using this pet a lot, be sure to do all the harder battles and quest-chains before Legion. Legion is getting a big wardrobe tab where players can collect transmog gear. Collecting shirts and various nice-looking BoE gear and then selling them on the Auction House when the transmog system is implemented might be a great way to make some gold. Or, you could just collect them to get all the transmog-related achievements on day 1. The last few months of an expansion is also the best time to go hunt for rare mounts, pets or toys. With players going for a break, all the old zones are basically empty, and no one will disturb you while searching for a rare spawn. Once the expansion is out, all the spots will be crowded again. The Garrison is an easy (too easy, even) source of gold. So why not abuse it while it lasts. Be sure to get at least a level 2 Inn with Treasure Hunter followers, a Shipyard and a level 3 Salvage Yard to make as much gold as possible with follower missions. Some old items with special abilities are becoming toys in Legion to further expand the list of collectable stuff (and bag space). People can hunt these items anytime, but getting them early will give a big boost in the collection tab once the expansion is live. Last time an expansion came out, the Brawler’s Guild, where players can fight against extremely hard monsters, and get from Rank 1 to Rank 8, got a reset. This is understandable because of the new level cap. So if you’re, say, around Rank 5, be sure to get to Rank 8 before the pre-patch. Each class will get its own order hall in Legion with unique quests. Having a bunch of alts ready to experience all the different storylines is not a bad idea. There are five heirloom trinkets, dropping from Mythic dungeon bosses, that can help a lot boosting alts to level 100 or soon 110. 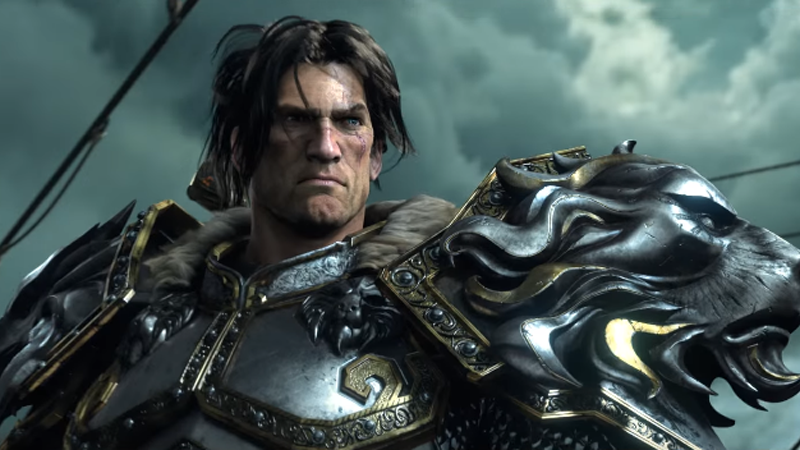 Legion’s still a few months away, and besides doing the things above, it’s also a good time to get some gold, reputation, level up professions, and go through older content.